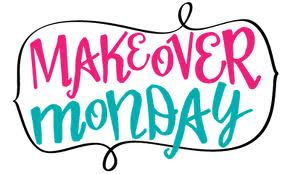 I have the third episode of “Makeover Monday”…“Baby Steps to Success for Creating a Business and a Lifestyle You Love for you today. Today I want to talk about wholesaling and the 5 components for building a wholesaling business. Last time we talked about choosing a real estate investing strategy. We also talked a little bit about three of the main strategies in real estate investing which are wholesaling, rehabbing (or fix and flip), and buy and hold and how each of those would lend itself to a different lifestyle. Today I wanted to talk about wholesaling a little bit more in depth. Wholesaling is a strategy that I believe everyone should incorporate in their business no matter what your primary investing strategy is that you have chosen. It's a great way to earn “chunks of cash” using little or none of your own cash. So What Exactly Is Wholesaling? Wholesaling is very simply buying property at a deep discount. In most cases, a wholesaler will be selling this property to another investor. The wholesaler’s end buyer will usually either be a rehabber or a buy and hold landlord. If you want to build a wholesaling business what does that involve? 1. Marketing. You are going to need to do a lot of marketing. If you have a strong marketing background you could easily take this knowledge and put it to work in your real estate investing business. Building a strong wholesaling business will definitely require you to have some type of marketing plan to get your phone ringing; to get leads for your business. If marketing is new to you, that doesn’t mean you can’t be a wholesaler. It just means to be successful that is the first thing you have to learn. 2. Talking to Sellers on the phone. I’m not going to use the term “motivated sellers” here, because you will be talking to a lot of sellers that simply aren’t motivated. It is a process of elimination when you get calls from one of your marketing activities to find those truly motivated sellers. 3. Looking at Properties. In the beginning, I recommend that if the property even vaguely looks like it could be a deal you should go look at the property. You will learn the neighborhoods, and you will learn how to talk to sellers “face to face” with confidence. This is an exercise called “Fake it until you make it”. 4. Making Offers. The next step in building a wholesaling business is making offers. This is a topic we will go over in depth in the future but you will need to make a lot of offers in most cases before you buy a property. You will want to practice making low offers. Doing this while looking the seller in the eyes with confidence will definitely take some practice. 5. Selling Your Wholesale Deal. The last component to a successful wholesaling business is selling your property to your end buyer which will almost always be another investor. You will need to build a cash buyer’s list over time, and I will have some strategies for doing this too. So that’s it in a nutshell; “The 5 Components of Building a Successful Wholesaling Business”. As we continue with our Makeover Mondays, I will tackle all of the pieces that go into the “big picture” as we go along. If you missed last week's episode on “Choosing a Real Estate Investing Strategy” you can watch it here. ← Harnessing the Power of “Big Mo”; How Do You Get It?